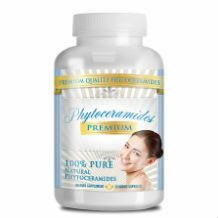 Phytoceramides-with rice is an anti aging supplement guaranteed by its manufacturers to combat the various signs of aging. It is meant to improve skin. With powerful ingredients like the Ceramides, it guarantees improved and healthier skin after about eight weeks. It is holistic with a rice based effect that is effective in the process of eliminating fine lines and wrinkles. It is claimed that rice derived Phytoceramides have a stronger effect than any other phytoceramides out there. The manufacturers recommend taking one capsule per day with a meal. Not every person experiences the same results when taking this product. Different results vary from individual to individual. There are no listed side effects for this product. This product is available only on Amazon in the whole internet. There are no other outlets for the product. It makes you wonder if the product is legit or not, since it does not provide any more information about where to get it. It also brings up the question of popularity. If it was effective as they say it is, i think there would be other outlets for it. The price for Phytoceramides-with Rice is twenty five dollars. This is for a thirty day supply only. Sure enough, there is a guarantee on the manufacturers website, a hundred percent money back guarantee, to be precise. However, there is vagueness all round about the product. There is no contact number or even a complaint section. There are also no product reviews for this product and there is just no transparency about it. This is enough reason to put a consumer on edge. 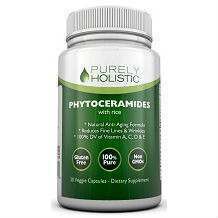 In all honesty, the idea that this Phytoceramides- With Rice product has natural ingredients is great. The ingredients are all natural and reputed to be effective. However, the information about this product on its website is not detailed enough and there is no legitimacy established. Guarantees are put in place to show and assure the customer that the company of the product has all the confidence in what they are manufacturing. They have not put any assurance in place for their product. Although the list of ingredients are all natural, there is no assurance that this product actually contains what they say it does. You only have to take their word for it. It would be more believable if they had the FDA seal of approval stamped on their product. High standards and quality is what the consumer looks for when contemplating to buy a product.